The Raue Center is an intimate, independent performing arts center located in the heart of historic, downtown Crystal Lake, Illinois—right in the center of McHenry County. The theatre is located at 26 N. Williams Street in Crystal Lake. 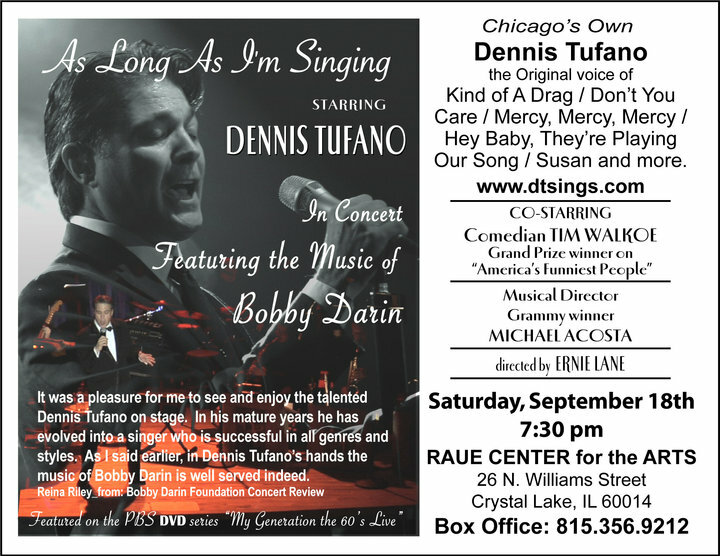 Raue Center is easily reached by public transportation (the Metra Northwest stops less than two blocks north of the theatre) or by automobile. Less than an hour from downtown Chicago! posted by Linda Matlow..live from New York! DON’T MISS OUT ON THIS “ABSURDLY FUNNY” SHOW! Adapted by Patrick Barlow, directed by Maria Aitken and featuring sets and costumes by Peter McKintosh, the production is based on an original concept by Simon Corble and Nobby Dimon and on the book by John Buchan. THE 39 STEPS features lighting by Kevin Adams and sound by Mic Pool. Dialect coach is Stephen Gabis. Original movement created by Toby Sedgwick. Additional movement created by Christopher Bayes. Production management is by Aurora Productions. The production received its American debut at the Huntington Theatre Company in Boston , MA . The Broadway premiere began previews on January 4, 2008 and officially opened on January 15 at Roundabout Theatre Company’s American Airlines Theatre. THE 39 STEPS is produced by Bob Boyett, Harriet Newman Leve/Ron Nicynski, Stewart F. Lane/Bonnie Comley, Manocherian Golden Prods., Olympus Theatricals/Douglas Denoff, Pam Laudenslager/Pat Addiss, Tim Levy/Remmel T. Dickinson, Roundabout Theatre Company (Todd Haimes, Artistic Director; Harold Wolpert, Managing Director; Julia Levy, Executive Director), Huntington Theatre Company (Nicholas Martin, Artistic Director; Michael Maso, Managing Director) and Edward Snape for Fiery Angel Ltd. Associate producer is Marek J. Cantor.